SEO is one of the areas of online marketing where more changes and updates occur every year. In this 2015, the reality is that optimizing a website for the search engine is getting tougher and complicated day because every day makes more stops: Content Marketing, Local SEO, Mobile SEO etc. 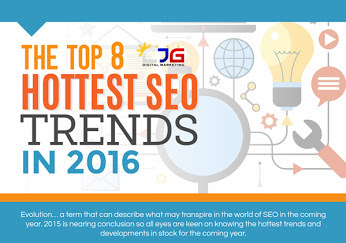 Take a look at latest SEO trends and knows why SEO is still at forefront battle of any Digital Marketing strategy. Every year, Google changes its search engine up to 500-600 times, While most of these changes are minor, every few months Google rolls out a “major” algorithmic update that have an affect on search results in significant ways.